For the uninitiated (although I’d think you would have stumbled upon this blog because of your current research on tick fever–hugs for you if that’s the case, and please know there is hope), tick fever is basically, a tick-borne disease. There are many types of tick fever, such as Ehrlichia, Babesia, Lyme, and Rocky Mountain. 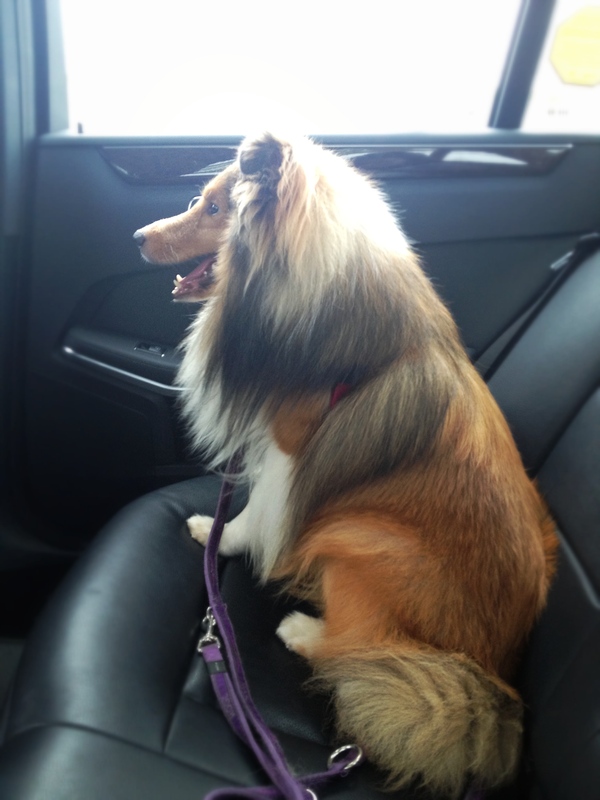 According to Dear Vet, Singapore doesn’t have Lyme and Rocky Mountain, and Hershey’s down with Babesia, so we’ll go along with Babesia for this blogpost series. Do note that treatment differs for each type of disease! Yep, the thing I thought my dog wouldn’t get, printed in black and white. 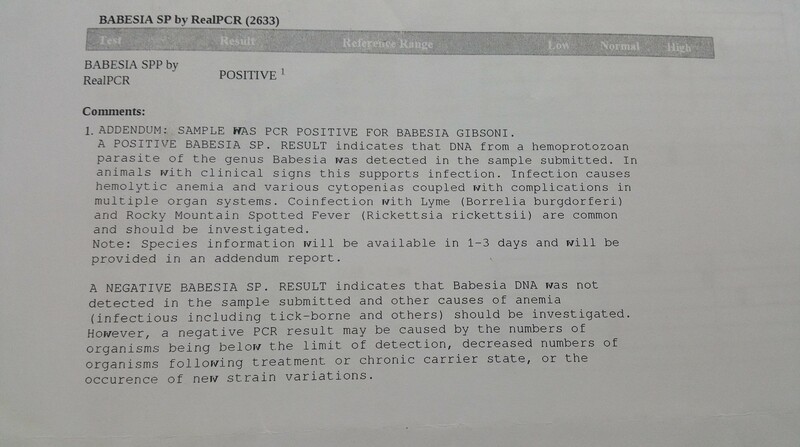 Anyway, Babesia gibsoni destroys the red blood cells (amongst other nasties), which results in the dog being anemic. 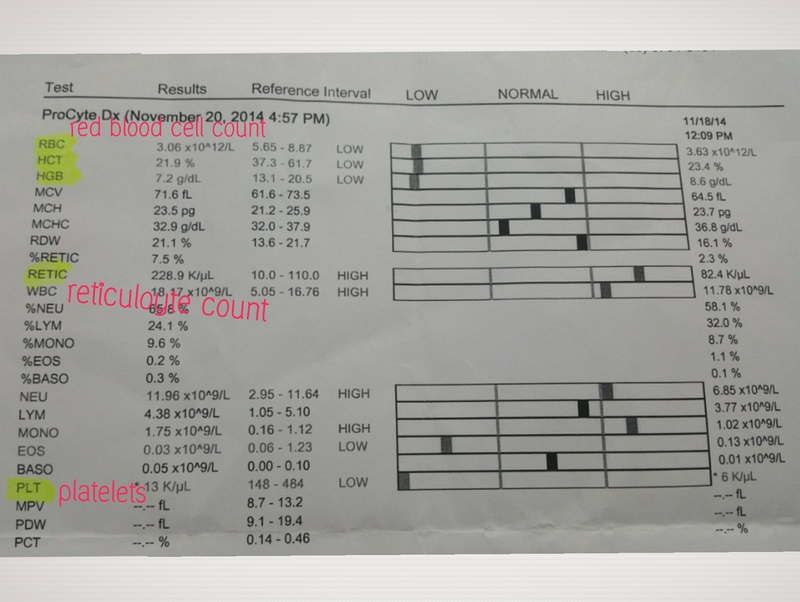 Here’s a sample of Hershey’s blood test when I thought he was going to die. You can see that the RBC (red blood count) and HCT (haematocrit) and HGB (hemaglobin) values are low. Transfusion typically happens when it is lower than 16%, but you risk organ failure and there’s always the issue of donor dogs availability. Let’s try not to go below normal! Haematocrit: the ratio of the volume of red blood cells to the total volume of blood. As you can see, Hershey’s diagnosis wasn’t good. At a 21.9% HCT count, he was lying around listlessly, which brings me to what to look out for. When Hershey first got ill, the scary thing was I didn’t think he was ill. In fact, the FIRST sign of the hell that was to come was that he stopped eating. From a bowl. And you see well-meaning people replying things like : ‘serve the same food over and over again until he eats’ and the like, which could very well be accurate if the dog is healthy. You don’t want to battle your healthy dog every day over dinner, goodness. But after Hershey got tick fever, I realised how dangerous such advice could be. 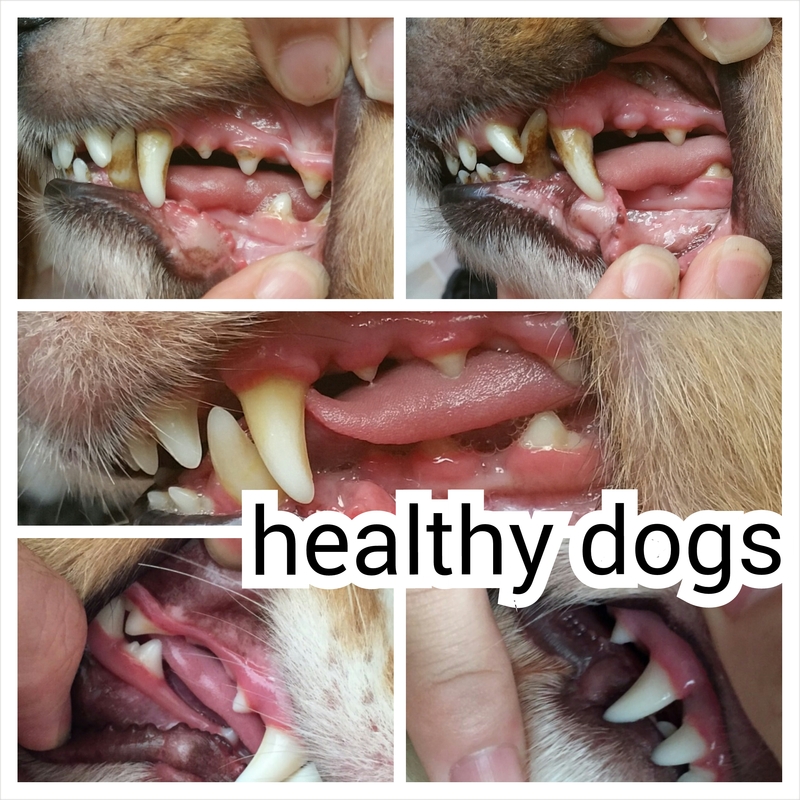 Going off food, for most greedy dogs, could be the first signs of impending illness. GO TO THE VET. DO A BLOOD TEST. Don’t ‘wage war’ with your dog when he COULD actually be sick! He was actually sick and I waged ‘war’ with him thinking he was spoiled and pampered. I still feel great guilty pangs when I think about it. The second sign was that he was PEEING A LOT more and DRINKING A LOT MORE. And the pee was DARK. Too much, too yellow, too often. This is perhaps my greatest tip (haha–I sound so wise and experienced) for pet owners: DOCUMENT YOUR PET WHEN HE IS WELL. What does his pee look like? How much does he pee? How much does he drink? You can access a human pee profile here! 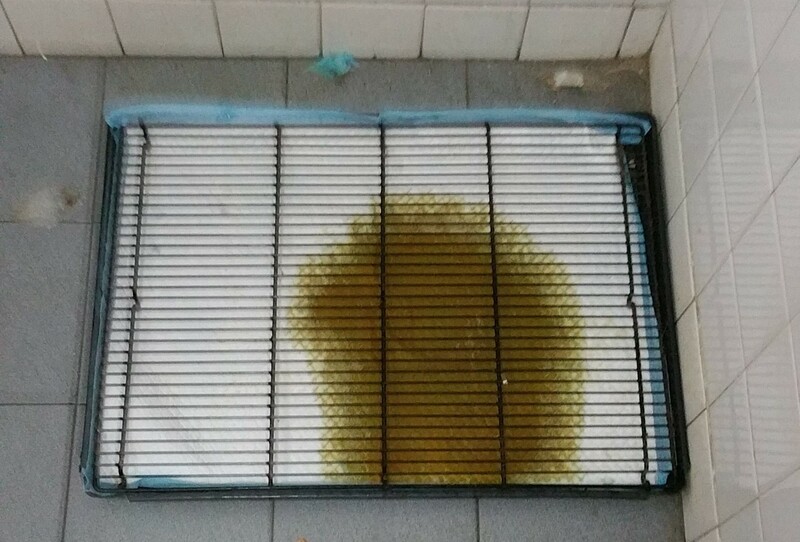 Now…off-hand, can you remember what your dog’s good pee looks like? Most Singaporeans–and I’m sure readers from abroad– want their pets to pee outdoors because it saves work. 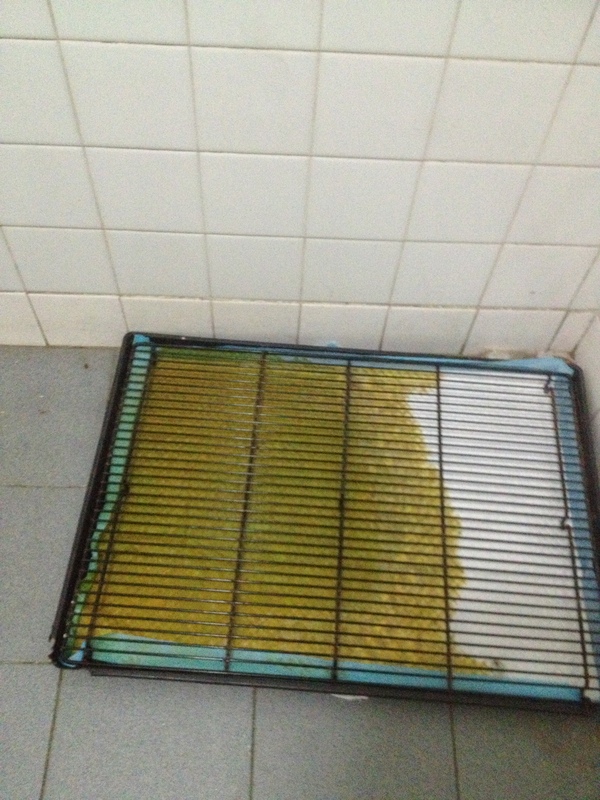 But let me tell you…PEE TRAY TRAINING in a way saved my boy because I could see what his pee looked like. I could save it to get it tested. And he was so sick he was unable to walk. Are you going to lug your boy or girl outside for potty? 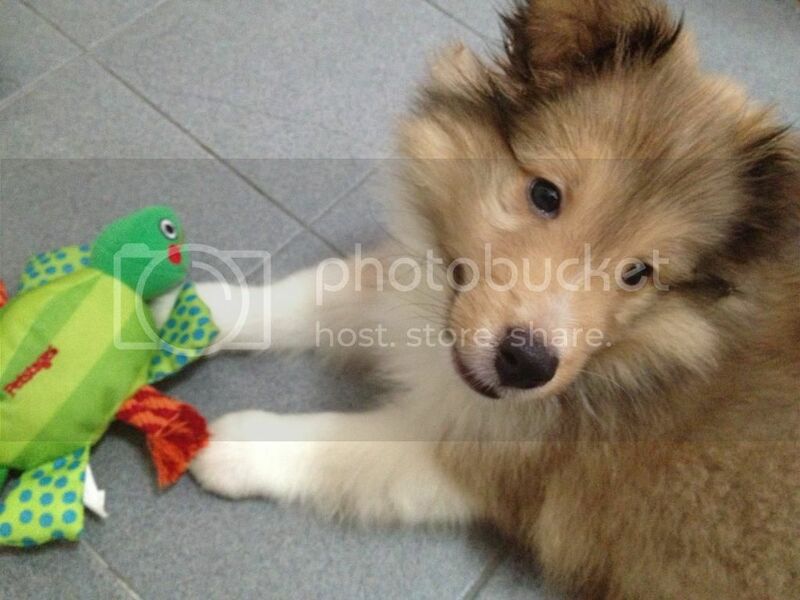 What if your dog gets diabetes and you need to save some pee for testing on a regular basis? Gotta thank Pup Pup ‘N’ Away (Hershey’s awesome Doggy school) for insisting on indoor pee tray training. I never knew it could be this useful. The third sign that showed was the reduction in fur quality. My poor dog got frizzy and yellower and yellower. Again, the jaundice came from blood cells that the parasite destroyed. I’m not sure how this would work on a darker dog….but for my brown dog, his coat lightened almost into gold. 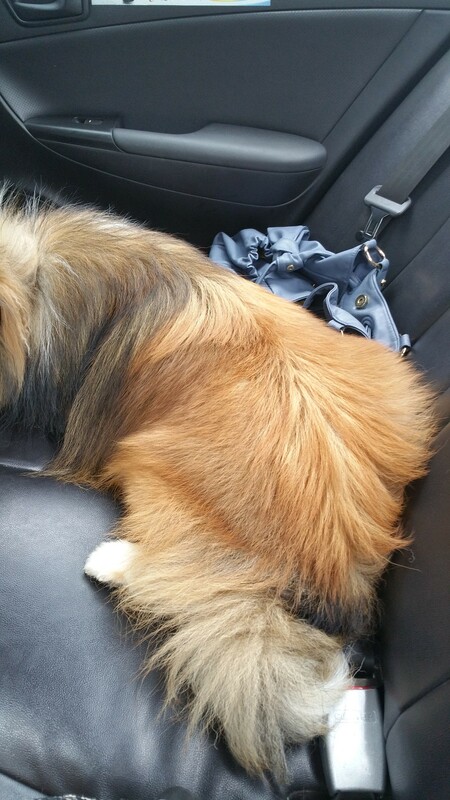 Look at how full and thick his coat was! He was not fat at any time of his life–I’m quite a sticker for weight– and although he hasn’t yet got his dark brown, note that his coat isn’t yellow here. 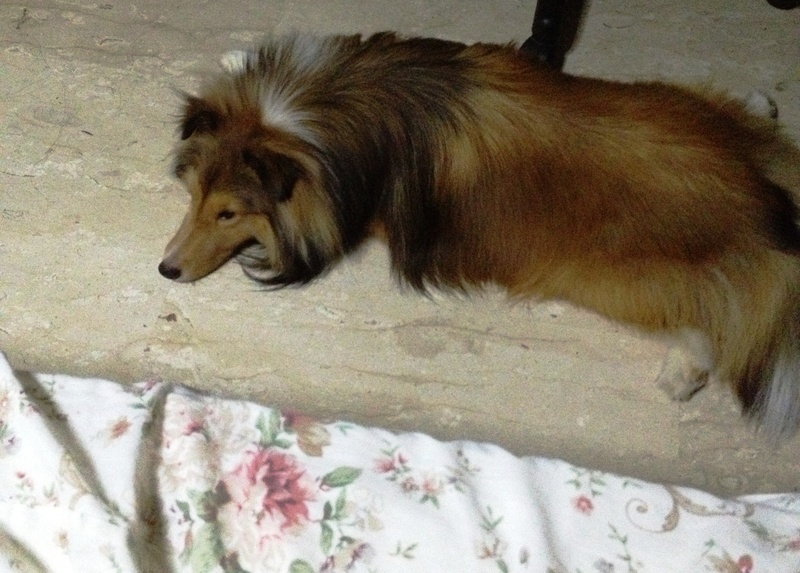 He’s an immature mahogany sheltie here, so his coat isn’t THAT dark yet, but definitely darker than the picture below. Coat colour during a relapse. The fourth sign would be the lack of colour in gums/ tongue because of anemia. 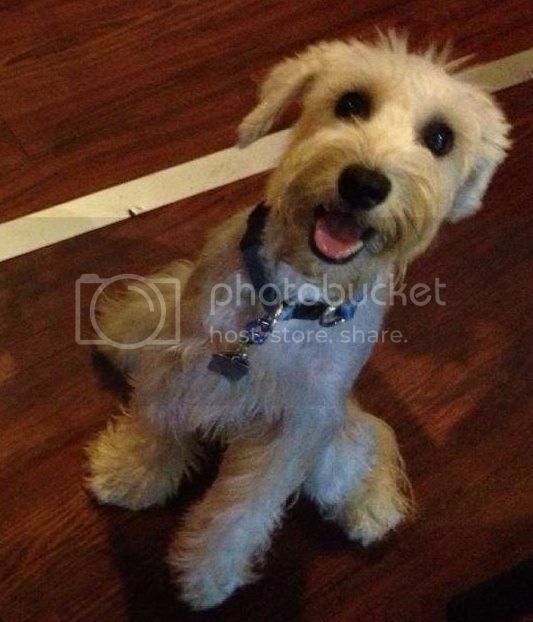 I don’t have a picture of Hershey when he looked like toasty death, but here’s a picture of him now, on a good day. If you will go to the supermarket and look at the grey-pink pork tongues for sale, that’ll be approximately his on a bad day. 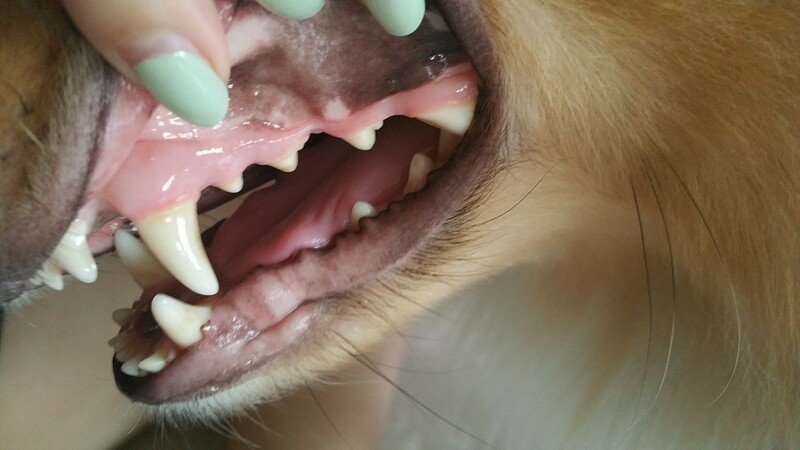 And the following is a collection of gums from my friends’ healthy dogs. The fifth (which concides pretty much with the fourth sign because lack of blood = lack of energy) sign would be general lethargy. Hershey loves his vet and loves vet visits. But as you can see here, he’s not feeling too well. Sometimes it could just be a general tiredness/ lack of vitality in the dog. 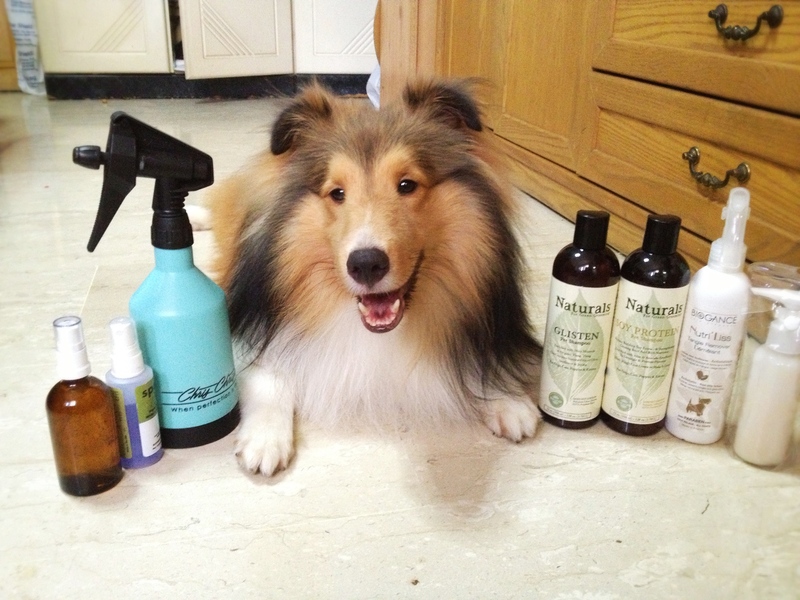 Look at the poor chap here being forced to model (back then I didn’t know he was sick, poor baby) for his shampoo haul. Lots of ‘down time’ and lethargy. Any bouts of activity were short and lacked the intensity that he once displayed. 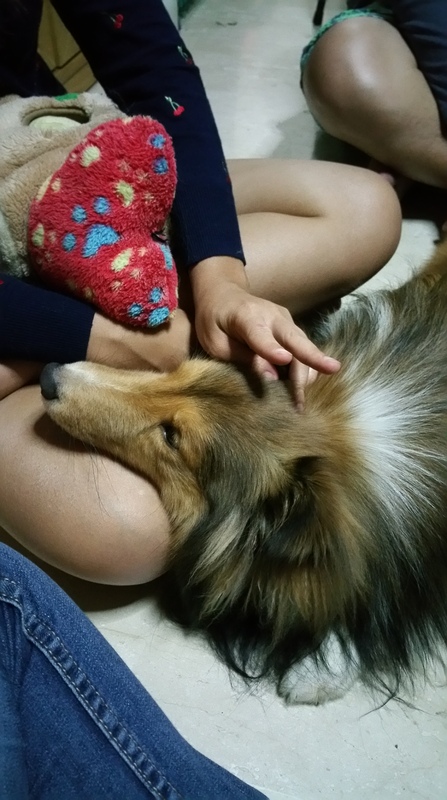 He couldn’t even get up to greet his favourite human buddies and lay there with his tail wagging once or twice. The sixth: any behavioural changes. Hershey isn’t a typically affectionate dog. In fact he doesn’t like to sit in laps, and he doesn’t actively seek physical affection. He’ll play ball with you or go on long hikes, and all that, but no, he’s too manly to do cuddles. BUT when he fell ill, oh all the cuddles in the world, please! 1. Stopping IMMEDIATELY when told to do so. And I mean freezing on the spot, not a paw out of place. 2. Leaving something immediately when told to do so. 3. Coming at once when called. So I guess it boils down to how well you know your dog and how alert/on the ball you are. Tick fever isn’t fun, and when it strikes, it sticks and the dog rapidly goes downhill. He could be at 40% blood count one day and then 19% two days later. Or he could be up and cheery in the morning but down by night. So for the next few blog posts I’ll be documenting his nutritional journey and as well as the therapies we explored for his treatment. Nutrition is a big, big part of staving off further relapses, and even now, my fingers are crossed for him. I’ll be fighting this battle till the day he crosses the rainbow bridge. NOTE: There IS a new vaccine for Babesia Canis available in Europe, but it is not 100% effective. Psss: If your dog is down with tick fever, please take heart that all’s not lost. You CAN fight this battle! Keep going 🙂 Here is a list of good sources on babesia.